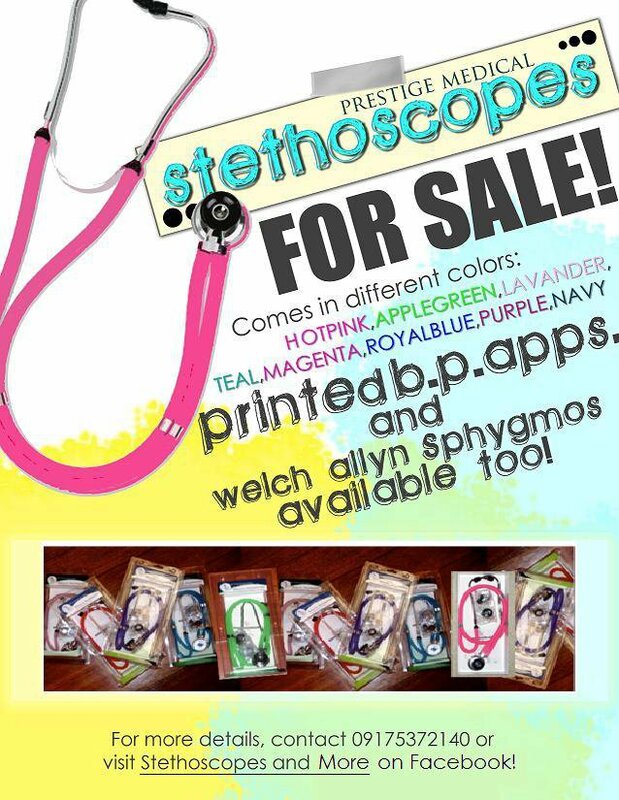 If you are a doctor or a nurse, or you are in the process of becoming one, and you like pretty things, then a candy colored stethoscope is just for you! To order a Prestige Medical stethoscope, check out Stethoscopes and More on Facebook or text Nic at 09175372140. Yay, please do! Thanks Dr. Kelly! Hi Christine! That's right! Brilliant! They're Php1200 each but I think they have a promotion right now. That would be great Issa, thanks! Why do I want to buy one??? Hahaha! You are funny Kris. Then again, knowing you, I am not surprised, heehee!